Skydeck Chicago with Kids is really amazing. They don't have fear with any especially of heights. 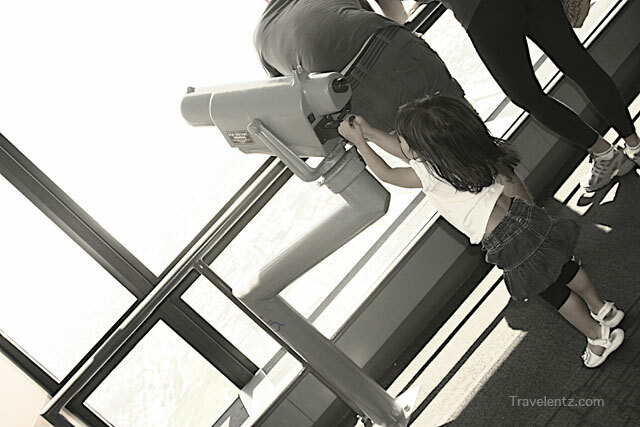 I guess it is a perfect time to bring kids in Skydeck Chicago they ran and enjoy the view.During our visits on Skydeck Chicago a lot of people there. This is one of the top attraction in Chicago,Illinois.I'm not scared of heights so we went to the The Ledge’s glass boxes.A lot of people waiting on line to go on the ledge. 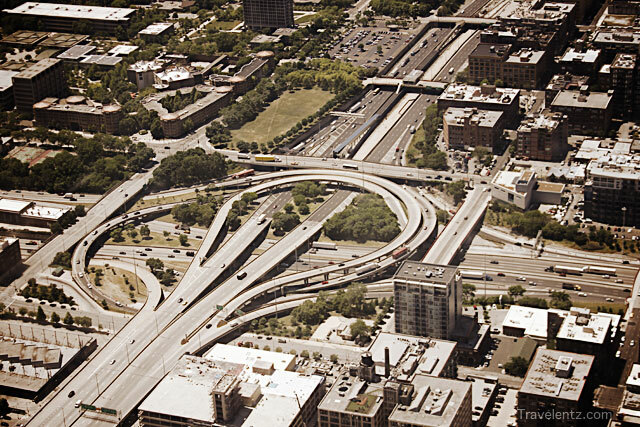 The busy high-way of Chicago-From the Skydeck observation deck. Skydeck Chicago is a self guided tour and one of the most popular attraction in Chicago. Willis Tower (formerly named Sears Tower. Located on the 103rd floor of the tower, it is 1,353 feet (412 m) above ground. 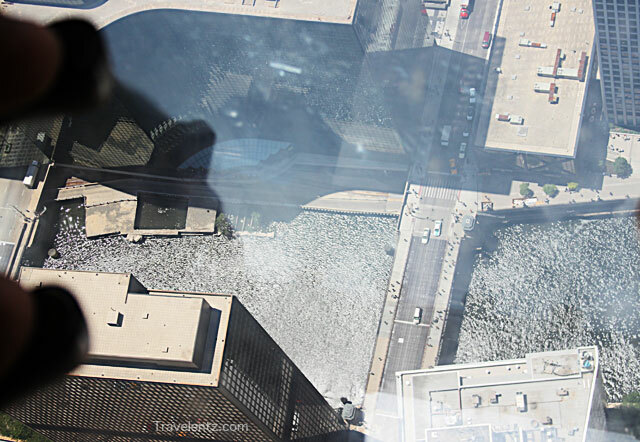 The Ledge’s glass boxes extend out 4.3 feet from the skyscraper’s Skydeck. Opened on June 22, 1974. Address: 233 South Wacker Drive, Chicago, Illinois 60606. The Skydeck attracts more than 1.3 million visitors annually who enjoy views of up to 50 miles and four states. Kids have more fun in the Ledge of the box while some adults are scared to steps on the box. Kids enjoy using the telescope. Great family picture at the Ledge of the box. 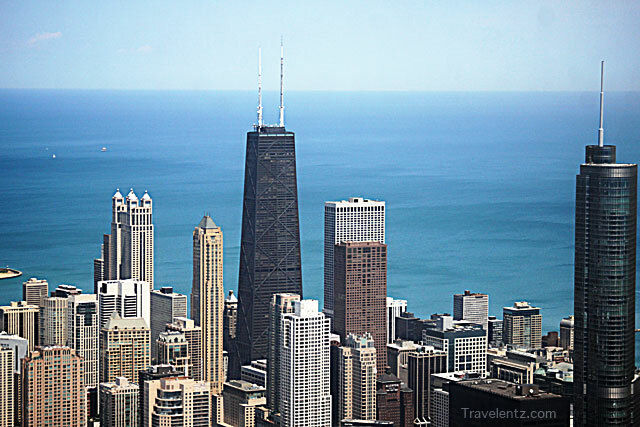 We parked at North side and walked to the Skydeck Chicago.I was impressed to see the panoramic view of four States from the deck.Above all if you like an Architectural Buildings,Towers, Landmarks and Photography this is for you. O my gulay! Di ko yata kaya tumuntong dun sa glass box na yun baka himatayin ako. hahaha! I haven't been to the top of the Sears Tower for quite some time. No way that I would stand on the glass box though - there's a glass floor at the top of the CN Tower in Toronto and it completely freaks me out! not for me ;)--nahihilo ako sa ganyan!